Great clarity & string definition for a fatter, fuller single coil bass sound. You can also choose an Alnico 2 version for a slightly warmer, slightly rounder sound. Fibre flatwork, wax potted, vintage cloth covered wire and available in black or white closed covers or black or aged white protective string wrapping. 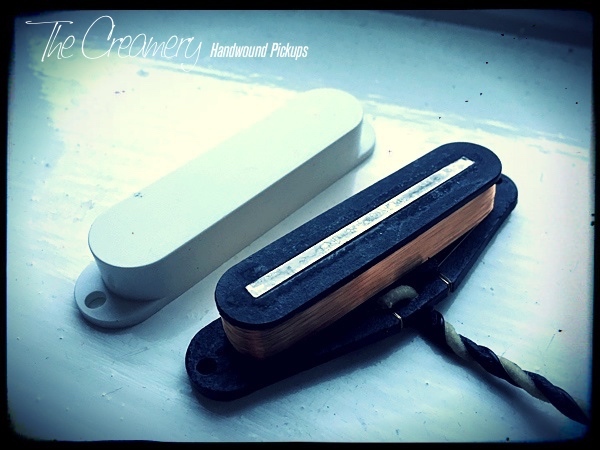 You can find more details of my Creamery Custom, Handwound Replacement Jazz (J) Bass Precision (P) Bass and Custom Bass Pickups here.